T-Mobile has been making huge strides recently, and it all is due to its UNcarrier changes which have disrupted the wireless industry as a whole in the US. Now, T-Mobile is getting ready to unveil the next step in the UNcarrier movement. It will hold the UNcarrier 5.0 event on Wednesday June 18th in Los Angeles. Unfortunately, we don't really know what to expect. The only potential hint is the tag line on T-Mobile's announcement which says "We don't play it safe and sound." This could easily be a simple statement to bolster how radical some of the UNcarrier changes have been, but it could also point to what to expect from the event. If that is the case, the best guess we would have is that maybe it has something to do with insurance and damage protection, but that is pure speculation. 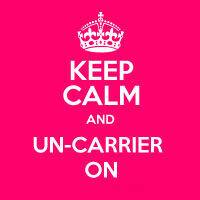 T-Mobile has already used its UNcarrier program to kill contracts, introduce the JUMP! frequent upgrade plan, free international data, free LTE data on tablets, and more. The changes have helped T-Mobile to grow rapidly, add subscribers, and even pass Sprint in terms of smartphone sales. What do you expect next? I really like the free international data I used it 4 times in Mexico its awesome I don't have to buy a mexican sim anymore.. Whether you're on T-MOBILE or one of their MVNOs, you're still getting the best deals...Stay INDEPENDENT T-MOBILE! first thing that popped into my mind reading the "safe and sound" tag was capital cities lol i'm excited to see what they'll announce next. my dream would be a free month of service just for the hell of it or a free phone for everybody. i know it won't happen but i can dream :) i know it's not an uncarrier move but it'd make me happy. I love almost everything about T-Mobile except that I wish they subsidize phones with contracts. So you dont like the entire company purpose then?